Bury anything deep enough and it will change. The weight of the earth creates so much pressure that transformation is inevitable. With enough time, a buried thing becomes something completely distinct from what it was. Often, people regard this process with discomfort or, worse, disgust. It makes them think of death and decomposition, of bodies turning into bones. At first glance, to bury something is to leave it behind. Take a closer look, though, and you’ll see that buried things come back more often than not. Bones fossilise, seeds grow. For centuries, cultures around the globe have buried food underground for weeks, even months, then dug it up and eaten its fermented form. Put something in the soil, give it time, and there’s a good chance it will return to you better, and stranger. Josiah Wise, who records under the moniker serpentwithfeet, has been thinking about this a lot in the past year. Reflecting on his new album in the Fort Greene neighbourhood of Brooklyn, he takes a long pause, reflects, and says, “It’s so beautiful to me to think about fermentation.” He means this quite literally. Over the course of our conversation, he frequently reminds me, “You got to get your probiotics!” But he means it on a much deeper level as well; fermentation, the process by which sugar is gradually converted into acid, is at the root of his new, debut album ‘soil’. The record is a testament to how giving things time to ferment is good for your art, good for body, good for your soul. 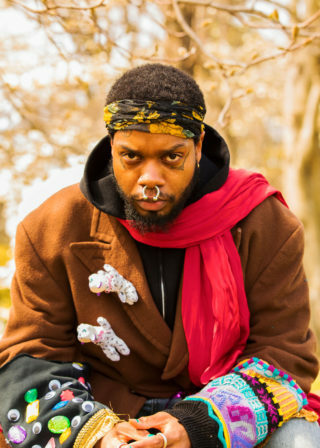 Serpentwithfeet first made his name in 2016. There’s a good chance you saw him before you heard him. 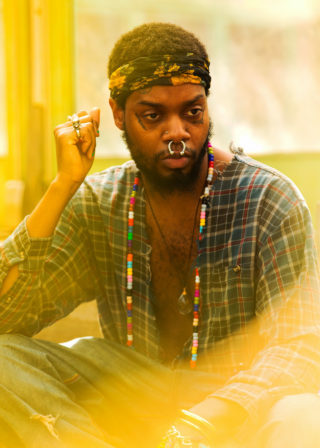 Here’s the thing: serpentwithfeet has a large pentagram tattooed on his head, along with, in thick capital letters, the words “HEAVEN” and “SUICIDE.” (He has grown his hair out since then, obscuring the text, but the pentagram still occupies prime, visible real estate). He has a silver septum piercing that’s roughly the size of an eyeball, along with a variety of other pieces of jewellery. At the time, he sported a shaved head and strategic eye makeup that made all this defiantly apparent. The look was fierce, with an undeniable whiff of the satanic. 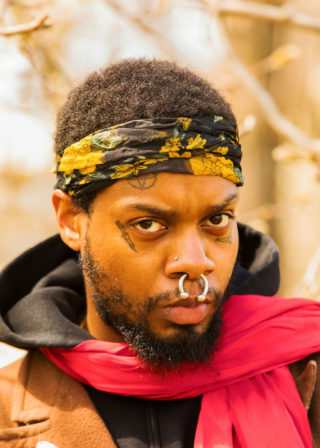 The same can be said of the name serpentwithfeet itself, a reference to the prelapsarian snake, the form assumed by the Christian devil to tempt Eve to eat from the Tree of Knowledge. Altogether, it certainly grabs your attention. It was a surprise, then, when the man wrapped in the iconography of the occult sang like an angel. 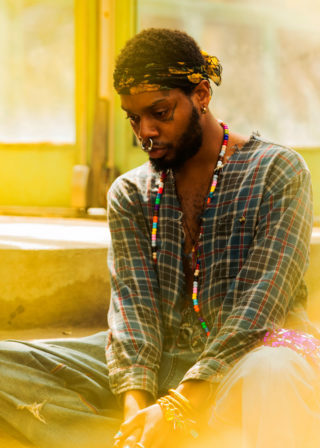 On his stirring first EP, ‘blisters’, serpentwithfeet mixed classical and electronic music with a voice fluent in the sounds of gospel and RnB. If that combination wasn’t unique in itself, the intensity of the approach was. A full throttle fusion of each genre at its most melodramatic, serpentwithfeet’s music was a hell of a strong cocktail. Released by TriAngle Records, whose founder Robin Carolan is also serpent’s manager, ‘blisters’ featured five concise but intricate tracks that explored queer experience. Label-mate and Bjork-collaborator the Haxan Cloak produced. It’s a pairing that made sense. The Haxan Cloak’s heavy and ominous soundscapes paired nicely with serpentwithfeet’s surface aesthetics: eerie, arcane, occult. Refracting its themes through a dark prism, ‘blisters’ treats love as something eerie, mystical, and transcendent in equal parts. The EP featured the stunning ‘four ethers’, a blend of baroque strings, ominous drums, and serpent’s soulful voice. The title refers to an esoteric concept that lies somewhere in the intersection of philosophy, astrology and paganism; it’s obscurity is largely the point: ‘Your name is impossible to know / You’re like my four ethers / How the hell do you know the four ethers?’ In the accompanying music video, serpent is dressed in flowing red, orbited by hovering points of weird, golden light. Immersed in Haxan Cloak’s dark and immersive production, replete with references to karma, ethers, and retrograde states, ‘blisters’, and by extension serpentwithfeet, was infused with a sense of the mystical. Love was a gnomic mystery and the man singing about it had a strong link to the supernatural, with one foot in our realm and another foot someplace beyond. In person, however, Josiah Wise is a deeply grounded individual. He mulls over his word choice and speaks with intention, softly and slowly. He is a fountain of practical wisdom (hint: get your probiotics) and musical knowledge. More importantly, he has a strong command of who he is as a performer and a person. 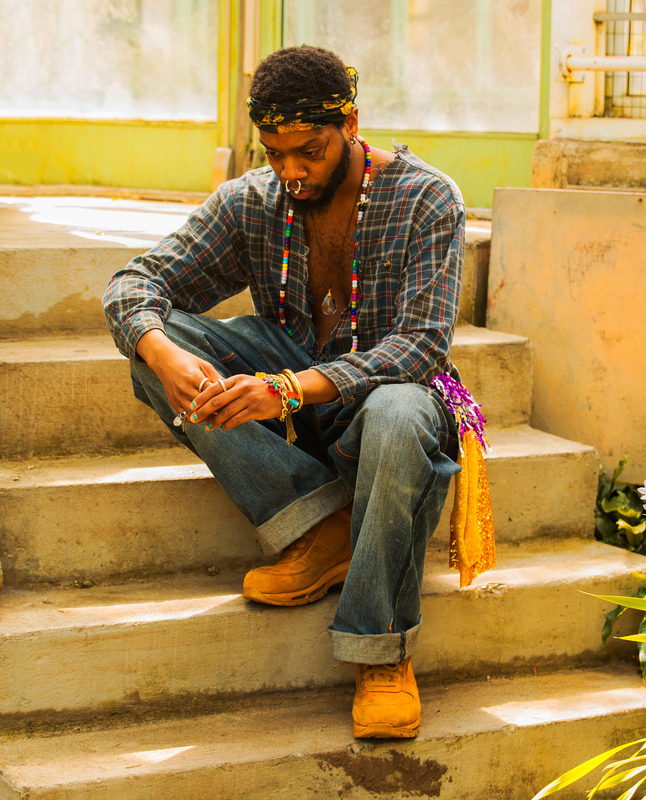 That security is central to ‘soil’, an album firmly rooted in the physical world, in which serpentwithfeet’s vision of love is less mystical but no less sacred. Many of the songs on ‘soil’ have been fermenting for years. The lush lead single, ‘bless ur heart’, started to form in 2009 when Wise was a senior at Philadelphia’s University of the Arts. It took him nine years of personal and musical growth to reach the version that concludes his personal album. In some ways, however, the process of fermentation goes back even further. 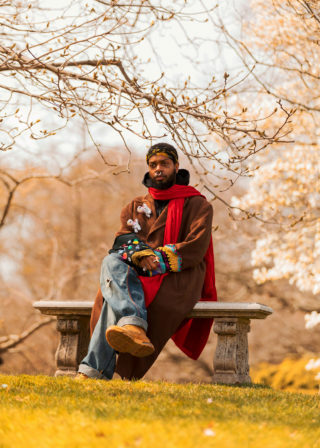 Wise’s extraordinary sound has been developing since his childhood in Baltimore, where he was immersed in the music of the Christian church, when he began to formally hone his voice at age eleven. This was serpent’s first serious introduction to classical vocal performance. Even as a preteen, however, he began to encounter to the problematic aspects of the choir’s culture that would influence his relationship with the genre for years to come. White was troubled by the lack of diversity in the choir and the class undertones of “lofty classical songs.” “There wasn’t much room for the black voice,” he explains. He committed to developing himself as a world-class vocal performer. Every day, he spent three to five hours singing after finishing class. That still wasn’t enough. After learning about an exceptional vocal teacher at Morgan State University, he called her almost every day for a year. One day she finally answered, White remembers, “and she said, ‘Boy, come.’” The lessons set him down a path to becoming a classically trained opera singer. By the time he graduated from University in the Arts, he’d mastered his instrument and developed a working knowledge of French, Italian, and German. He casually recalls taking Russian diction classes so he could perform ‘Lensky’s Aria’ by Eugene Onegin. “I wanted to perform in the opera houses, I wanted to perform at the Met. I really wanted that life,” he reflects. But when Wise was ready to take the next step in his career, a roadblock sprung up in his path – he didn’t get into the graduate vocal programs to which he’d applied. The traditional trajectory he had followed so closely for so many years suddenly fell out from underneath him. Shut out of the classical world, he had to find a new way forward, and fast. But if the classical world seemed to reject him, he didn’t reject classical music wholesale – his music makes that obvious. He retains an obvious passion for the genre; indeed, that passion seems to have only grown as his interest in other genres has developed, and he remains a wellspring of knowledge on the subject. At one point he digresses to explain the genius and influence of Czech composer Antonin Dvorak, casually offering a rundown of his work, complete with composition dates. Dvorak’s 9th symphony From the New World, which was called “the greatest symphonic work ever composed in [the United States]” when it was first performed in 1893, was profoundly influenced by African-American music. Serpentwithfeet’s response to this century old story is to follow the path of Nina Simone and Kirk Franklin, who he cites as inspirations. Both Simone and Franklin were and are exceptionally gifted classical singers who invested their talent outside the classical realm and have had an extraordinary influence on music at large, classical and otherwise. “There’s this thing where black people, and I speak for myself, want to be a part of the black classical world. That’s fine if folks want to do that. I wanted that, and I do think there needs to be black people everywhere, no matter what genre. But there’s many of us who are vying for a position in this white classical canon, not even understanding that there’s so much weight around creating your own thing. 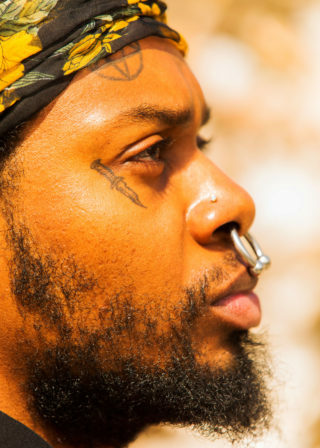 Serpentwithfeet is a child of this realisation; if the classical world would not have him, White would have to build a world for himself, one that could be home to his many prodigious gifts. He cites Nina Simone and Kirk Franklin as inspirational examples of classical singers who invested their talent outside the classical realm and had an extraordinary influence on music at large. 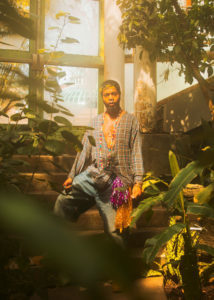 This idea is central to serpentwithfeet’s first full-length. “With ‘soil’, I was thinking a lot about how I have my own goal,” he tells me. “I want to invest in what comes out of me naturally.” But a great many things naturally come out of him, from gospel to snares. 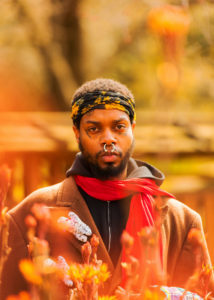 On his remix of Bjork’s ‘Utopia’ track ‘blissing me’, he sings, ‘I don’t have enough clothes to dress all the people I’ve become,’ but ‘soil’ is in many ways an attempt to do just that – to draw together all of serpentwithfeet’s disparate selves and wrap them in a strange, single whole, while still honouring each of the things that renders them unique. Coming in at just under 40 minutes, ‘soil’ is an economical album crafted with precision. Serpent worked with four producers that reflect the range of his interests and influences: producer mmph and sound designer Katie Gately (two of serpent’s TriAngle labelmates), hip-hop producer Clams Casino, and the prolific Paul Epworth, best known for his production for high-profile artists like Adele and Rihanna. But while each of these producers brought something of their own approach to the record, the sound is ultimately Wise’s. Wise often turned to producer’s when he needed direction on how to reach his final destination. He recalls asking Gately to help him create the sound of “flamenco in metal heels,” and mmph remembers working to capture the sounds of Pop Rocks and sticks falling down. At times, they looked past instruments to get the sound they needed. Gately remembers using bowling balls on ‘bless ur heart’ to create the sense of something living underground. “It’s not just the sounds, it’s how it all fits into his world,” mmph tells me. The production of ‘soil’ may have been a collaborative learning process, but the lyrics were all serpent. As a lyricist, White as a knack for small, sensory details. There is a deeply sensuous quality to ‘soil’, in its music and its lyrical content. Unsurprisingly, the record has an earthy texture, and the language is rich with imagery of roots, trees, seeds, things that live and grow in the dirt. More generally, his language has a fierce physicality; he has a gift for capturing the tactility of the language he uses in his music. Mmph recalls Wise using the term, “seeing where the body takes you” as a way of feeling out whether songs had this quality. When he sings “I love you from the space beneath my feet,” on the album’s extraordinary opener, ‘whisper’, Wise channels the emotion up through his body. Listening to these songs, it’s as if you can sift through them with your fingers. The record also has a powerful scent, if such a thing is possible. Songs like ‘fragrant’ and ‘waft’ are explicitly aromatic. “I think about smell often,” serpent says. He claims that his sense of smell isn’t more attuned than anyone else’s, but then recalls with a smile, “My Mom would say, ‘You have a witch’s nose!’” It’s hard to disagree. While working on the album, he was interested in the theory that smell has a powerful impact on romantic relationships. In some schools of biological and psychological thought, it’s argued that partners unconsciously seek each other out by smell. This has certainly proved true in Wise’s case. “So often I will smell men before I see them,” he says. He recalls one time at a party in London where he caught a whiff of someone behind him. “It was a funky, pungent smell, and it was so beautiful to me. Out of the blue I was really turned on.” So when, on ‘waft’, he sings, “there can be no love where there is cologne,” he means it quite literally. But when he performs, or even listens to some of these songs, he can be overcome with emotion. ‘mourning song’, where he sings, ‘I make a pageant of my grief,’ is the best example of this. “Every time I listen to it, I’m almost in tears,” says serpent. A song about sadness doesn’t have to be sad, though. Wise says that that track is one of the most fun songs in his repertoire to perform.